As a medical anthropologist, Dr. Graham draws upon anthropology, technology assessment and bioethics to approach cultural, technical and moral issues in health. Janice Graham and Molly Ryan present their findings on trustworthy relationships during the 2014-16 Ebola outbreak, September 2018. Learn more here. WHO launches new web-page committing to social scientific involvement in all future health emergencies. TRRU team & collaborators pen BMJ Global Health commentary. Click for full text. The latest information on Global Vaccine Safety initiatives at WHO. Featured information updated October 2018. Learn more about one of our current CIHR-funded research projects. 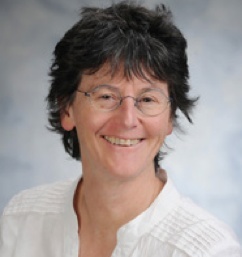 Led by medical anthropologist Professor Janice Graham, our research team uses a science and technology studies conceptual framework and multi-sited ethnographic methodological approach to understand how scientific and cultural facts emerge. Read more about our team. Our multi-sited ethnographic projects are situated in laboratories (public and private, developed and developing countries), in biotechnology and pharmaceutical corporate offices, and in government regulatory agencies. While our primary research site is Canada, our members have conducted research in Burkina Faso, Colombia and the United Kingdom. Learn more about our research projects.